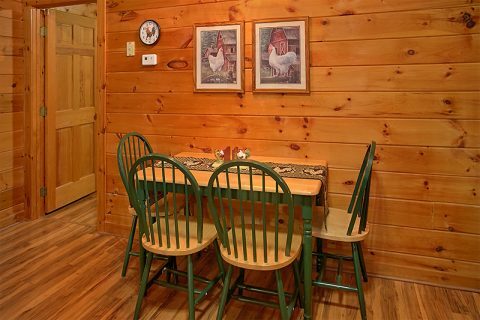 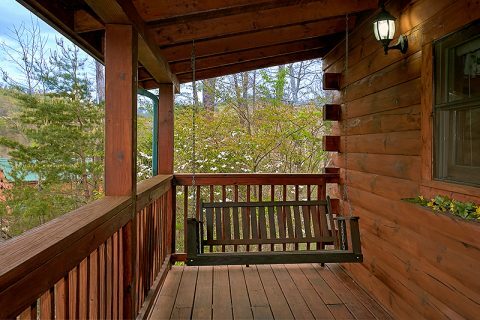 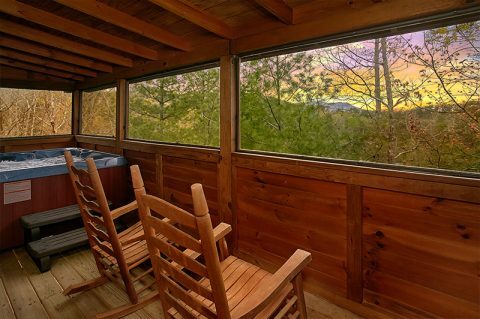 Book this cabin in the Smokies just for the two of you! 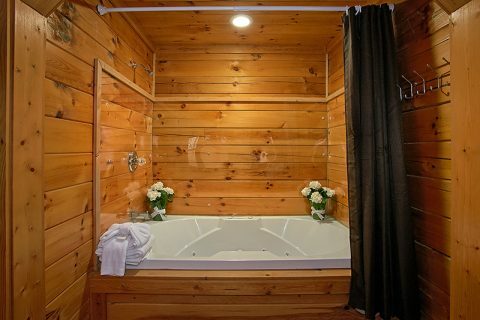 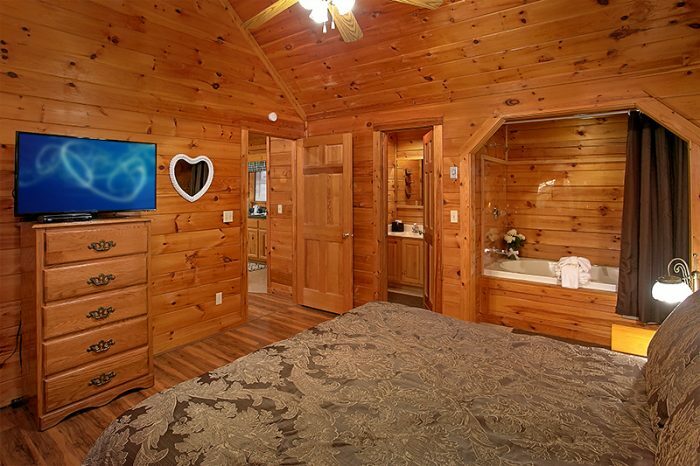 "Honeymoon Getaway" is a romantic 1-bedroom cabin that sleeps 2 guests in Pigeon Forge, TN! 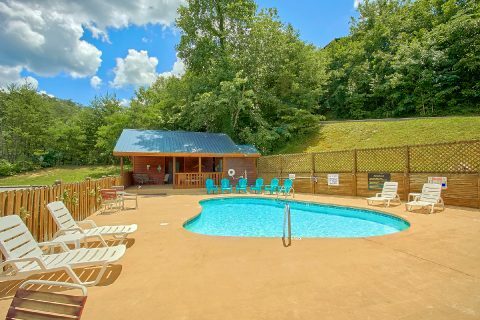 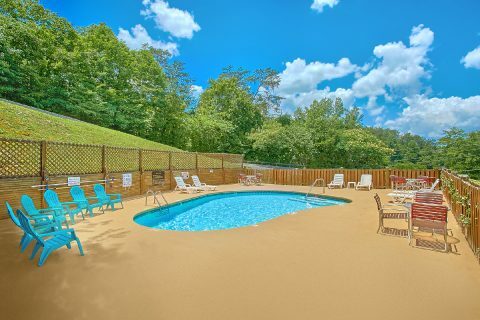 Better yet, this rental is a part of the Arrowhead Resort area, so guests will enjoy quick access to the region's top attractions and a seasonal swimming pool! 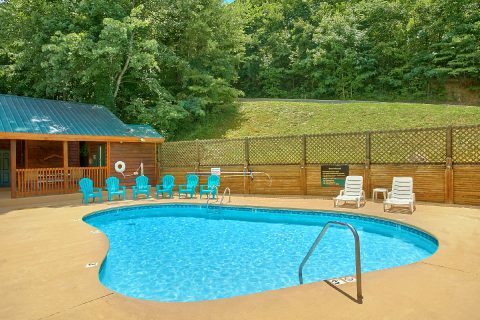 When you aren't busy hiking trails in the Great Smoky Mountains National Park, you can enjoy relaxing by the poolside with a good book. 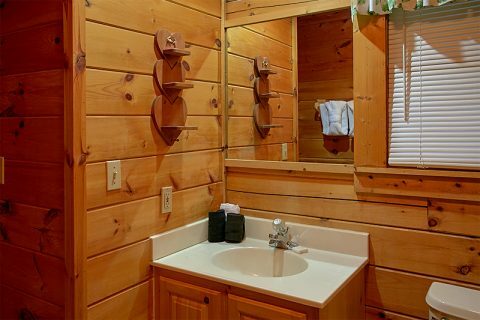 Back at your cabin, you'll find even more ways to relax in privacy. 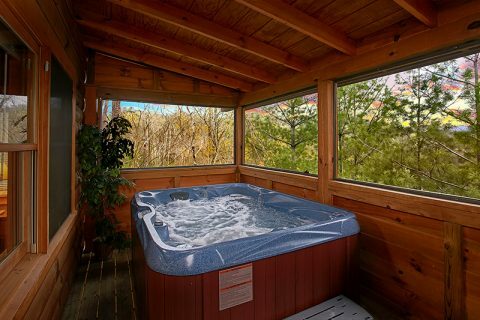 From your cabin's hot tub on the screened-in back deck to the living area with a gas fireplace, this rental is ideal for unwinding with someone special. 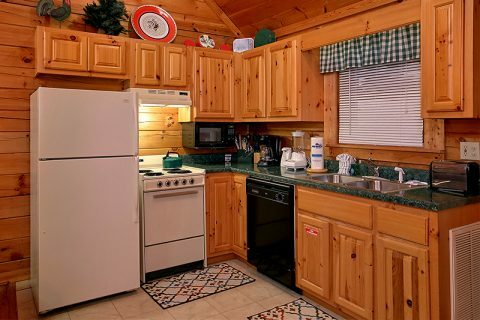 Better yet, your cabin also features practical amenities like a full kitchen and charcoal grill for impressing your sweetheart with delicious meals in the comfort of your cabin. 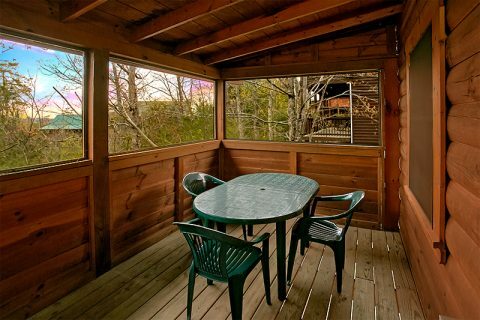 For a romantic evening dinner, you can even dine outside on the back deck that comes complete with a table and chairs. 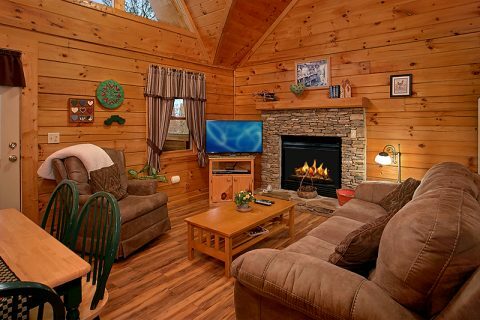 After dinner, you can curl up by the gas fireplace in the living room and watch a great movie on the 42" HDTV. 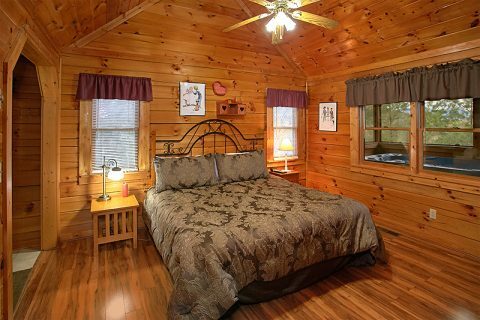 When you're ready to get some rest on your vacation, you can always retire to your cabin's king-size bedroom complete with a 42" HDTV, dresser, and full bath. 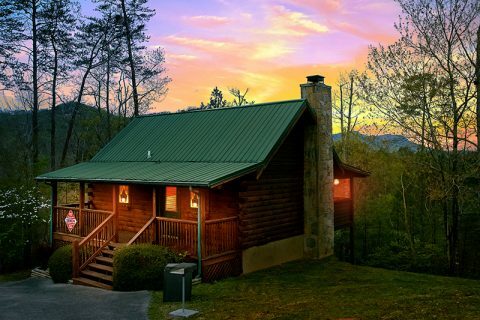 The next day, you can awake refreshed to explore Downtown Gatlinburg or drive the 11-mile Cades Cove loop through some of the most beautiful scenery in the country. Don't forget to book your honeymoon cabin online with Cabins USA Gatlinburg to earn a special discount on your stay!